This short video explains: how you can install the Java Runtime Environment (JRE) on the Beaglebone Black; how you can build Java applications using Eclipse and deploy them to the Beaglebone; and, finally how you can use the Remote System Explorer (RSE) plugin for Eclipse that streamlines the process. This video is for student of my EE402 module in Dublin City University who will be building client/server applications using the Beaglebone as one of the platforms. The video also explains how to set the profile configuration for setting the PATH and JAVA_HOME. Hi Derek, first of all I would like to thank you very much for such nice tutorials. I’m facing some problem regarding JRE. I followed all the instruction given in the video and successfully extracted JRE and set the environment variables PATH , JAVA_HOME. When I’m running binary from BBB(via Putty or RSE) I encountered an error [ (Exception in thread “main” java.lang.NoClassDefFoundError: (wrong name: BeagleBone/”) ] and followed by several lines. I don’t know where is the problem, already performed given instructions several times . from the directory level below the “beaglebone” directory. 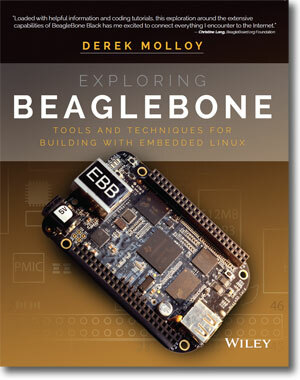 Make sure that it works first of all on the desktop and it should work the same way on the BeagleBone. Thanks Derek, problem is solved. I was not mentioning the Package, and when i mentioned it as you told then it worked. Thanks a lot. What it means?. Is it not possible to run Gui Frames from RSE or Putty. Do I need to attach a separate display device to see the Frames? First at all, excellent tutorials! with your presentation regarding the “Remote Project”, I’ve used that for a C/C++ project. The “Remote project”-plugin is part of the “Parallel Tools Platform” and you don’t need the RSE client/server for that to make it working. It’s all ssh. The only thing which isn’t quite well working: When you let Eclipse perform an automake, that is, it gerenated the make-file itself, it doesn’t compile. You need to create the makefile manually, and then everything is find. So thumbs up on that and thanks to you, Derek, who gave the idea to me to try that out. first of all thanks a lot for the instructions: very helpful. And yes, sorry to ask. After successfully following your instructions (with the ejre-7u75-fcs-b13-linux-arm-vfp-sflt-client_headless-18_dec_2014), I decided to update my BBB with the newest BBB debian release. It turned out to be images_bone-debian-7.8-lxde-4gb-armhf-2015-03-01-4gb.img, which also went well. Nevermind, this was a lot easier than I thought: I just had to remove th micro SD and reboot and it works again.